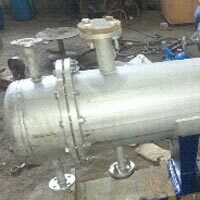 We are ranked amongst the prominent manufacturers and Suppliers of Heat Exchanger in Maharashtra, India. It can operate up to 200 kg/cm2 pressure. These are broadly used in the petrochemical / refinery plants worldwide. These are highly efficient in reducing the thermal loss in the heating process. Our range is widely used in Food processing, Electrical, and Chemical industries. these shell heat exchangers hold the following specifications: Shell and Tube heat exchangers are the most common type of heat exchanger used in oil refineries and other large chemical processes, and is suited for higher pressure applications. 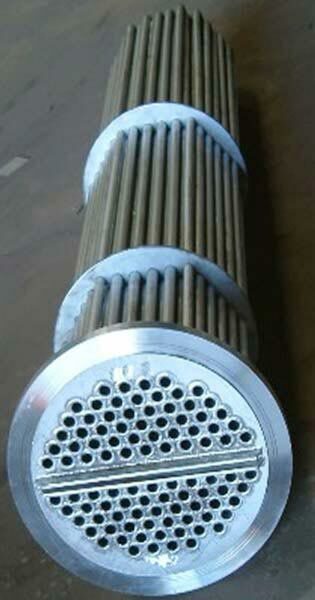 We have made-up heat exchangers operating at up to 200 kg/cm2 pressure. Our exchangers are giving exceptional performance at major petrochemical / refinery plants worldwide. Aries Engineers are engaged in trade and export of Heat Exchange Tubes that are widely used in Thermal processes. This is made of high rating steel and used for transfer of heat from one system to another. 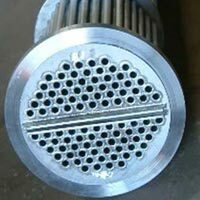 Our heat exchange tubes are designed accurately as per the safety guidelines of piping industry. These tubes much reduce thermal loss in the heating process. Our range is widely used in Food processing, Electrical and Chemical industries.